XWA announces first-ever "No Man's Land" match & slight schedule changes! Bella Quinn, chairwoman of the XWA, announced today that at the April Supershow "XWA: No Man's Land" will feature a main event that will be the first of it's kind within the promotion. The No Man's Land match will be a four-person elimination match for the Supreme XWA Championship taking place inside a huge, monstrous metal structure. The structure will be laced with many different weapons such as tables, ladders, chairs and smaller weapons of the same ilk hanging from the ceiling of the No Man's Land structure, although competitors will be allowed to 'donate' one weapon of their choice to add into the match. Two competitors will start off with a third added after fifteen minutes and a fourth fifteen minutes after that. The last competitor left standing will be the winner. - Whoever holds the Supreme XWA Championship at the time will be required to be a part of the match. - The person at the very top of the XWA Top Ten ranking system at the end of March will automatically be inserted into the match. 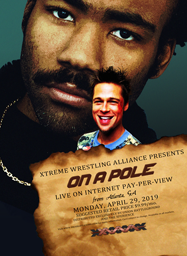 - There will be a qualification match at the March Supershow XWA On A Pole. - There will also be a qualification match on an episode of XWA Massacre through March. This is currently all of the information we have been given at press time. We expect more to be given as the month progresses. In related news, while April was previously going to be the month of XWA: Beach Break!, that will now be May, but it will still take place at Miami Beach in Florida. The winners of the XWA Tag Team Classic will now face the XWA Tag Team Champions at No Man's Land rather than Beach Break!, but the tournament will continue as planned. 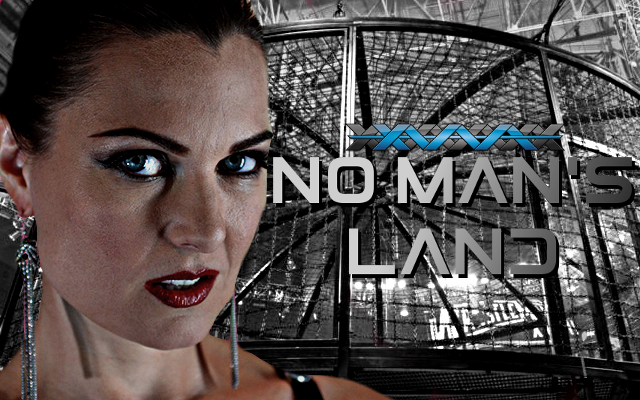 Re: BREAKING NEWS: XWA announces first-ever "No Man's Land" match & slight schedule changes! Since I seem to be in a qualifier for this, I have a quick question. Are there any pods in this structure and, if so, where are they located? Since a typical Elimination Chamber has four, but there's only two people who won't be starting the match, I'm unsure of whether the last two enter through pods located somewhere or if the cage is opened to let them in. EDIT: Also, will each person choose the "donation" weapons for all four people, in their versions of the match, or will everyone involved (once the last two participants are confirmed) choose their characters' weapon and then when people write the match, they use the ones that are already chosen? I hope I worded that in a way that makes any sense. GiggityGopher wrote: Since I seem to be in a qualifier for this, I have a quick question. Are there any pods in this structure and, if so, where are they located? Since a typical Elimination Chamber has four, but there's only two people who won't be starting the match, I'm unsure of whether the last two enter through pods located somewhere or if the cage is opened to let them in. There would be two pods in there directly facing one another across the ring, but aside from that, same Elimination Chamber set-up. GiggityGopher wrote: EDIT: Also, will each person choose the "donation" weapons for all four people, in their versions of the match, or will everyone involved (once the last two participants are confirmed) choose their characters' weapon and then when people write the match, they use the ones that are already chosen? I hope I worded that in a way that makes any sense. Nearer the time, I'll come to all of you and set up a group PM and basically say "reply to this with the weapon you've chosen". That way everyone in the match knows what the other guys are bringing in and can work with it. Whether you want to reveal what weapon you've chosen before the match is set to go up or not and the manner in which you want to do that is up to you.